Under the self-assessment system it is your responsibility to send in a tax return with full details of your income and assess for yourself how much tax you owe. If you get your return in early enough then the Revenue will do the assessment calculations for you, and they will always check your calculations and correct your assessment for arithmetical errors. Every year they select a number of tax returns for further enquiry. The majority of tax enquiries are handled by local district tax offices. They start with a letter indicating what the tax inspector wants to know and enclosing a booklet explaining how the enquiry will be handled. Typically the opening request will be for you to send in all the records which support the entries on your tax return. A tax investigation will either start because you haven’t sent in your tax return or because you have and the Tax Inspector has some questions about it. There are two types of enquiry. The most straightforward is an aspect enquiry. The Revenue have a particular question about one aspect of your tax affairs, and once they are satisfied the enquiry will be closed. For example they don’t understand something on your return and they want some more details because they think it might be in the wrong box. aspect enquiries are generally easy to deal with. A detailed enquiry involves them taking a thorough look at your tax return. The law requires you to keep records of all the transactions that support the entries that you put on your return, and the tax office will want to look at those records to see whether your tax return ties in with your records and whether the records are reliable. A detailed enquiry can start for a number of reasons. Every year a number of tax returns are selected at random. Others will be selected because the figures on them look wrong – the Revenue know what sort of gross profit a country pub should be making on its food and wet sales, and they will look at ones that are out of line with the norm. They could have information from a tip off – possibly an ex-boyfriend, a jealous rival, a nosey neighbour or a Suspicious Activity Report arising from the Money Laundering Regulations. Or they could have evidence that your lifestyle doesn’t match your declared income – they may know you had a swimming pool installed and bought a classic car, although you claim to live on £12,000 per year. Finally, sending your tax return in late could make you more likely to face a detailed enquiry. Let’s take the simplest case. You send in your tax return and pay your tax, then sometime in the next 12 months you get a letter from your tax office saying that they are enquiring into your return and probably asking you to send in all your accounting records. They can only ask you to produce the records from which your return was completed. They can’t ask you to produce your husband’s, partner’s or grandmother’s bank statements, unless of course you’ve run your business through granny’s Post Office account. It also makes sense to have a separate bank account and credit card for your business because you don’t have to produce your non-business accounts if they didn’t generate any of the information on your tax return. Ultimately if your business records fall apart under scrutiny you may have to produce your personal bank statements but there is no point in handing over information right at the start if you don’t need to. If you fail to produce your records then a penalty can be imposed. At this stage your accountant will normally give the Revenue any relevant information about how the tax return was put together and how the figures in your books and records related to the entries on the return. The tax inspector will first of all want to check that the return has been correctly completed from the records. Do the income and expenses on the return tie up with your books? Have you only claimed tax relief on legitimate expenses? Are any estimates reasonable? He’ll then want to see if the records themselves are reliable. Do they tie up with your bank statements and credit card bills? If you’ve deposited money in your bank account do the records show where it came from? If you’ve paid expenses in cash then do the records show that you actually had enough cash to pay them with? Do the records make sense? Claiming hotel and travel expenses for 10 tours, none of which made a profit doesn’t make sense. Do the records tie in with the other information he has? He may have seen your Field Reports or possibly one of his colleagues may have made a booking to establish your prices and availability, and then cancelled at the last minute. Do the records show you have a fluctuating horde of cash? Are the expenses supported by receipts? Do the records tie in with what he knows about your lifestyle? If he cannot ‘break’ the books then the enquiry will hopefully draw to a swift conclusion. You may have to negotiate some adjustment if there are some expenses he is not happy with. If he is happy with the records there may still be a fundamental mistake in for example what you have claimed. That could result in the Inspector deciding to open investigations into earlier tax years. That could cause extra problems particularly if your book- keeping was more hit-and-miss in one of the previous years. If he can demonstrate that the books are not reliable – which will often be because he can show that you must have had other income which you have missed out of your books – then he needs to establish what the true profit must have been. At this point you are likely to have to produce all your personal financial documents. The Revenue are likely to look at unexplained money appearing in your private accounts, major items you’ve bought but don’t appear to have paid for, and try to calculate how much cash you must have had to support your lifestyle. 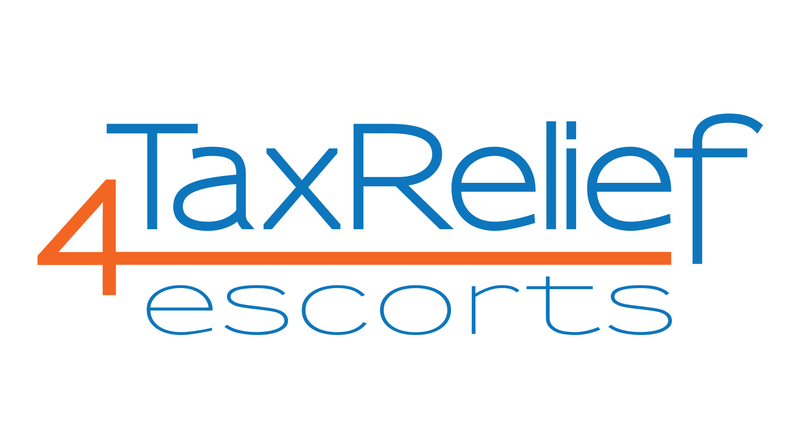 They can also try a business economics exercise and estimate how many clients you see a week and how much you must have earned – although most reasonable tax inspectors recognise that escorting is not the kind of business where this can be done accurately. But they are more likely to try it with a sauna or parlour where the flow of clients and average payment can be measured and calculated. Hopefully by this stage you and your accountant may be able to strike an agreement with the Revenue about the additional tax payable. If you cannot agree you can take the dispute to a Tribunal. Let’s suppose you’ve been in business for a year or so but haven’t declared anything. Then one day you get a letter making it clear the Revenue know you’re in business. An enquiry proceeds in much the same way. If you have a good set of records and know exactly how much you’ve earned you may want to submit the missing tax returns, and they may agree to allow you time to consult an accountant and get your tax affairs sorted out. The Revenue will want to look at your records and establish how much you have earned. What should you do if you’ve been in business for a while but failed to register, or if you’ve registered but under-declared your income, and you now want to confess and put things right? First of all there are powerful reasons for wanting to do that. The maximum penalty for evading tax is 100% of the tax – that means if you’re caught evading £20,000 of tax then you could be facing having to pay £20,000 in tax plus £20,000 in penalties plus interest on the tax. But if you confess before getting caught, and co-operate in reaching a settlement then you’ll get a very much lower penalty and by paying the tax earlier the interest will be lower. If your neglect of your tax affairs was simply carelessness (rather than deliberate) the maximum penalty is 30%, which can be reduced even further if you co-operate and disclose everything before they catch you. The best advice is to consult an accountant who can undertake to compile a full report to the Revenue very quickly. He’ll need all your records and your complete co-operation. That way you’ll get maximum for disclosure, and co-operation which will reduce the penalties. There are three main ways in which a tax investigation will get settled. It’s possible that the Tax Inspector will be entirely satisfied with your tax return. In that case he will simply issue a certificate saying his enquiry is over, and he then cannot reopen it. That’s it: over. If there are minor adjustments to be made, but no evidence that you have been negligent or fraudulent, he may issue an assessment for the extra tax. There will be interest to pay which will be back-dated to when the original tax was due. In more complicated cases, particularly where more than one year has been investigated and there is evidence of fraud or neglect, the Revenue can take formal penalty proceedings. These are still civil (non-criminal) proceedings and not to be confused with criminal prosecution. However in practice even formal penalty proceedings are rare. Normally the taxpayer will be invited to make an offer to settle to enquiry and in return the Revenue will agree not to take penalty proceedings. This creates a binding legal contract which the Revenue can enforce through the courts if you fail to pay. The amount of the offer will be negotiated with the Revenue. It will always include the unpaid tax, and almost always include interest. The negotiable bit is the penalty on top. The penalties will be reduced from these levels if you have fully co-operated with the enquiry and the level of voluntary disclosure you have made. What it amounts to is that if you get caught evading tax, whether by deliberate fraud or just by negligent procrastination, then you will always have to pay the tax and the interest. If you take steps to regularise your tax affairs before they catch you, and the amount of tax is modest, and your failure to pay tax was due to carelessness, and you co-operate in sorting everything out, then the penalties will be minimal. But if they catch you out after deliberately cheating for years and you have to led kicking and screaming to a settlement, then you’ll get screwed. Beware of brown envelope paralysis. There is a strange medical condition which afflicts otherwise sane human beings. The symptoms are an inability to open brown envelopes and a desire to lose them in cupboards, under the settee and in the boot of the car. Whatever your tax problems they are not going to get better by themselves. It’s even worse than men avoiding going to the doctor because there’s a chance we may have imagined our symptoms and even if we’re really ill we might get better naturally. If the Revenue are on to you they won’t go away, and if you have to settle with them you’ll get a better deal if you do it know. Take book-keeping seriously. There is a school of thought that believes if you haven’t got any records then they can’t tax you. The truth is that if you have a set of accurate books then you can prove how much you’ve earned and fight off the Revenue’s extravagant guesses. And if you’ve no records you aren’t going to get tax relief on your business expenses. Book-keeping is not difficult: some of the dimmest people I’ve ever met have been accountants and book- keepers. With a decent system anyone can do it. Don’t worry you’ll be in the Sunday papers. The Revenue carry out around 250,000 enquiries every year. They have an enviable record of confidentiality and the vast majority of tax inspectors are professional and courteous in their dealings with taxpayers, and will treat you with respect.Tax enquiries are not publicised. Actually there is one exception to that: HMRC do have the power to publish the names of serious and deliberate tax defaulters if the tax lost comes to over £25,000.